So, I wanted to give everyone a piece of practical use of Mandrill by hooking it up to Revit. What we are going to do here, is visualize Wall Types and how these different types are used across the project, focusing on distribution by Level. 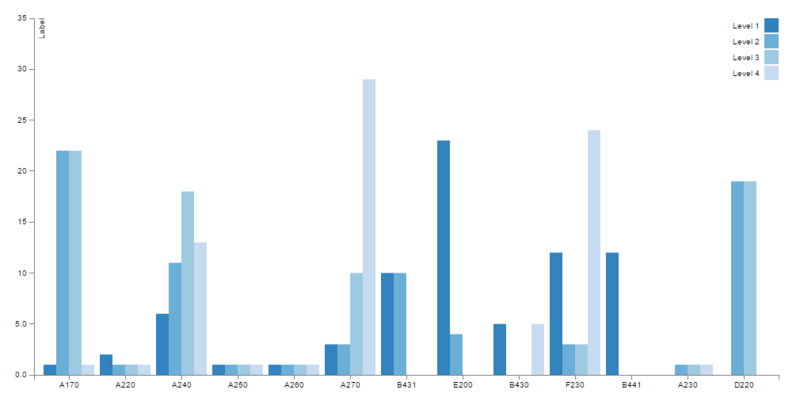 I think the best way to visualize a multi-dimensional data like that would be to use either a Stacked Bar Chart or if we have a smaller data set (building with less levels), then we could use Grouped Bar Chart. 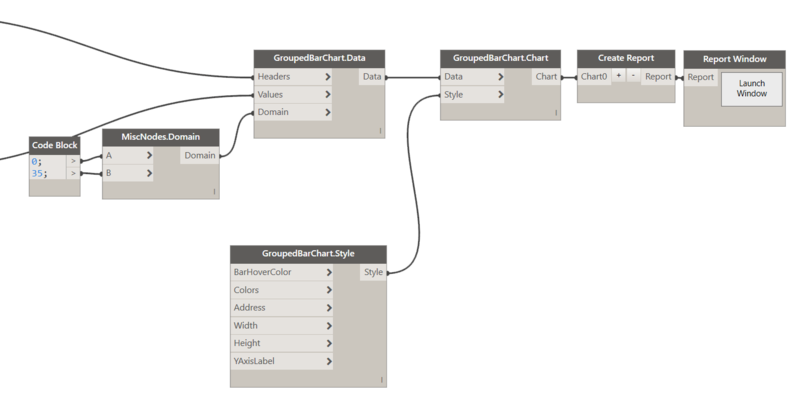 That’s a snippet of the CSV file, so you have to understand that if we were to write such file using Dynamo, we would be dealing with a nested list of lists. Each sublist contains a Wall Type name and then number of instances per floor. With that information in our minds we can get down and dirty scrubbing our model. Now, pay attention to two things here. First is the list lacing setting on the Equals component. It is set to Cross Reference. Then replication guide settings on the CountTrue node which is set to @@L2. You also noticed how it has a different color? It’s because I have checked “Keep List Structure”. This node should give us a nested list where each sub-list contains counts per level. You can see that clearly in the Watch component above. Now, looking back at the data structure above, we see that last thing we need is to insert a Wall Type Name on top of each list. That should not be hard. This would be our Domain: 0-29 and that would work just fine for our chart. However, I like to use a little larger value for the upper boundary to keep the chart from never reaching the top. Also, if you keep the values in the increments of 5 then the Y-axis markers will be evenly spread. So let’s use 0-35 here. Colors = null which means that Color.Category20c() method will be used to determine colors. Address = [1,1] where chart will be placed in first colum and first row. However, if more than one chart is added and they all have address set to [1,1] then charts will be “pushed” to the right in order they were added to the report. Width = 1000px which means 10 grid cells (100px standard Grid Size). Height = 500px which means 5 grid cells (100px standard Grid Size). We can use the default settings here and just see what happens. So let’s wrap this up by creating the chart, and then adding it to the report. Now, you can clearly see that your Wall Type A270 has been used almost 30 times on Level 4. Who knows, but perhaps that’s your specialty STC rated wall for use with Offices only, but there is no offices on 4th floor. Who the hell is using it there, and for what? Go get them tiger! Of course that’s just a simple example to illustrate the point, but I can envision people using this plug-in simply to make some cool charts, for their Website, or company reports, or whatever you like to chart. Be my guest and have fun with it! Besides this simple charting functionality I really envision Mandrill to be a dashboard/report generating tool. For that to happen I am currently working on the latest release that will allow you to not only create a chart, but then also dynamically arrange them on a page, and then print to a PDF without much hassle. This upgrade will cost $699, so if you think you can help me cover the costs, I would really appreciate if you went to this link and donated. At the moment I have $360 / $699 so I am super excited about getting Mandrill fully funded. All donations are appreciated! 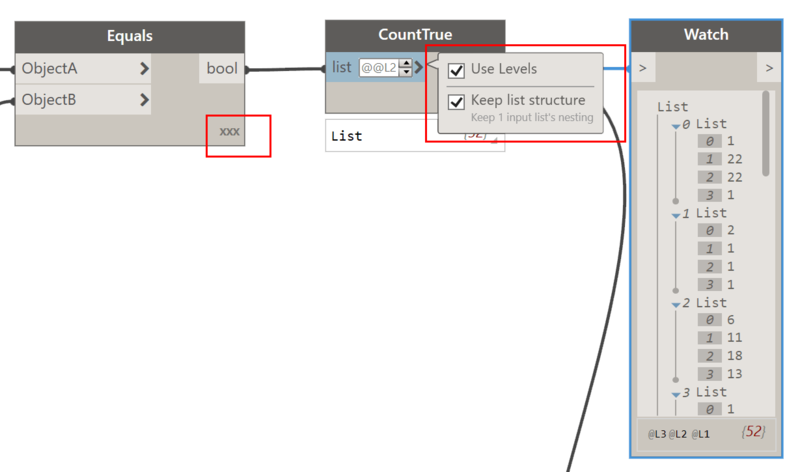 ← contributing to Dynamo repo…not, or why not?